National Lampoon's Vacation (1983) (previously reviewed here, though I'd be inclined to go one up from the 7/10 I gave it last time): 8/10. My pick of the week is the latest picture from director David "Training Day" Ayer, End of Watch. The cynics amongst you may be asking: "Hasn't the world seen enough of these Los Angeles crime dramas?" "Must we enter the world of tough, violent cops cracking down on Mexican street gangs yet again?"... To which I would respond: yes, there have been a number of similar movies over the years - but when a film is as gripping as this one is, I'm more than happy to return to the genre. Moreover, Ayer presents the action in a fresh way, by shooting it on handheld cameras supposedly handled by the characters in the scene. This puts the viewer right into the heart of the action (as well as making it seem like a particularly exciting episode of COPS - no cattle rustling here). It isn't just a series of exciting set pieces, however; we also get to learn a great deal about the personal lives of the two lead cops (Michael Pena and Jake Gyllenhaal) over the course of the storyline. It's this relationship, which seems entirely natural, which really makes the movie work. I really came to care about these characters, meaning that when they faced down life and death situations, it had that much more of an impact for me. I've previously moaned that certain cop films (such as Deep Cover and Colors) pale in comparison with the very best recent TV series on the same subject. In this case, however, in terms of characterisation, humour and excitement, End of Watch is up there with some of the best episodes of The Wire and The Shield, which is pretty high praise in my book. Also recommended is David Cronenbourg's 'battle of the psychiatrists' movie, A Dangerous Method; which sees two late nineteenth century intellectual heavyweights facing off in a battle to determine which direction the emerging field of psychotherapy will take. In the red corner, representing Switzerland and a desire to blend psychiatry with the occult, we have Carl Jung. In the blue corner, representing Austria and the theory of linking one's mental health to childhood repression, we have Sigmund Freud... Boxing analogies aside, I have to confess that although I'm enjoyed the vast majority of Cronenbourg's movies, I'm not usually too fond of period dramas, so I was a bit worried that I might find this movie to be a little dry. I needn't have worried. Although I'm not particularly well versed in the personal lives of either of the two eminent men profiled in this movie, Cronenbourg found a way to present their professional squabbles and personal struggles in an intriguing and sometimes rather amusing way. The film features fine performances from the ever reliable Michael Fassbender (as Jung), Viggo Mortensen (as Freud) and from Keira Knightley (who plays Sabina Spielrein, an early patient of Jung's who later becomes his student). It's very well scripted, thought provoking and definitely worth a look, even if you're not overly familiar with the history here. It's also worth keeping an eye out for Vincent Cassel, who has a scene-stealing cameo as Otto Gross, possibly the world's sleaziest ever psychiatrist. Finally, as I mentioned last week, I've been continuing my efforts to catch up with Alfred Hitchcock's films recently. 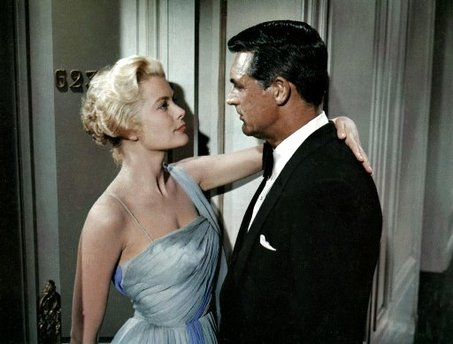 Both of the movies which I watched this week (To Catch a Thief and Suspicion) featured Cary Grant as a dashing rogue. In the former film, he's a reformed cat burglar determined to track down a perpetrator of similar crimes who has been following in his footsteps. In the latter, he's a smooth conman, whose new wife suspects that he may be planning to bump her off for the insurance money. Neither of the pictures would rank among my favourite Hitchcock pictures (for the record, this would include Pyscho, Strangers on a Train, Rear Window and North by Northwest), but both were fairly entertaining in their own right. "Marty McFly: Wait a minute, Doc. Are you telling me that you built a time machine... out of a DeLorean? 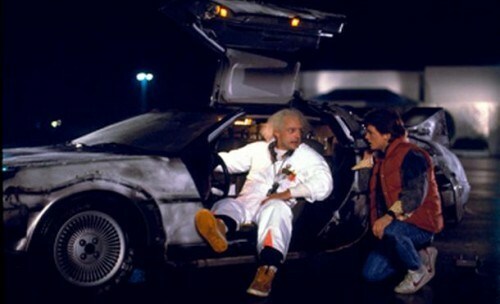 Dr. Emmett Brown: The way I see it, if you're gonna build a time machine into a car, why not do it with some style?"